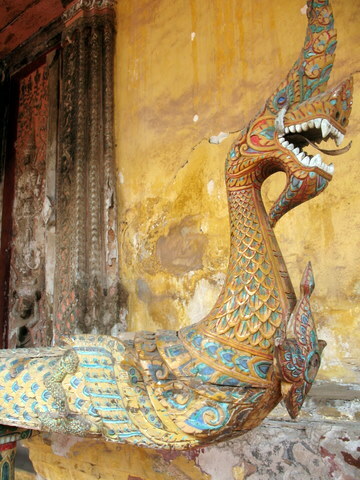 This is used for rituals at a Buddhist temple in Vientaine, Laos. Later I made this photo into a pin. I wonder where that got to. It was pretty neat. From here. I made a modified half recipe and it made plenty, probably about 24. 1/4 cup craisins or other dried cranberries. Mix sugars and margarine together “until light and fluffy,” whatever that means. Add in vanilla, egg, flour, baking soda, and salt. Oats go in last, then the chips and cranberries. Drop by the teaspoonful on a greased cookie sheet. Bake about 10-12 minutes. Let cool before you remove from cookie sheet. I think I baked these about 13 minutes, mostly because I put them in for 8, then opened the oven and stared at them for a minute. Don’t do that – start with 10. These were incredible. The oats really give them a great texture, and they’re sweet without being too sweet. Good for breakfast, according to Bryan.